I admit, I rarely put much thought into it. Drones are a fun set of tools and toys for anyone to enjoy, but more often than not, I cross paths with males in this industry. It is refreshing, then, when we get to say hello to women drone enthusiasts and pilots. 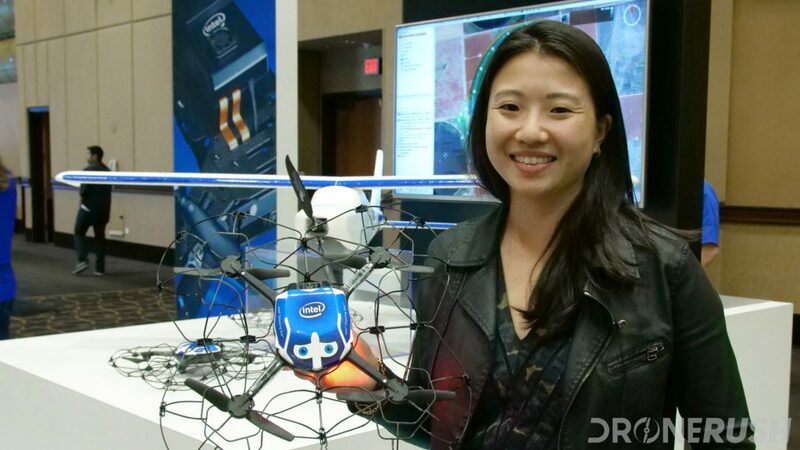 We had the chance to chat with Natalie Cheung, the General Manager of Intel’s Drone Light Shows back at InterDrone last year. 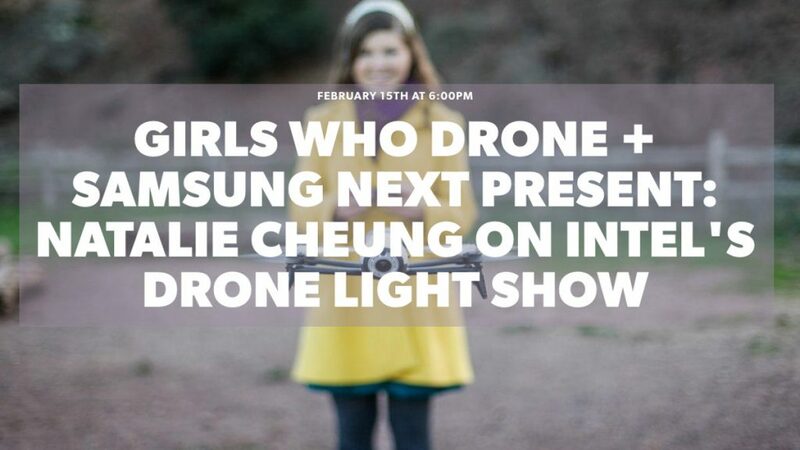 We get that opportunity again in February, at the second annual Girls Who Drone event, hosted by Sally French (The Drone Girl) and Siggi Hindrichs with Samsung NEXT in San Francisco. The core of this years Girls Who Drone event is a presentation from Intel on how it operates its light shows. Natalie Cheung and team have been inspirational in their accomplishments. At least I assume you’ve heard of their work with Disney, the Super Bowl last year and plenty of other experiences where the LED lit drones wowed a crowd. 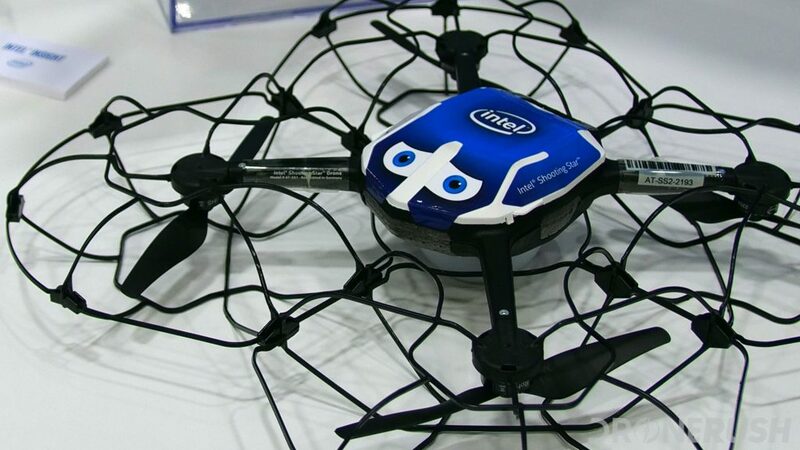 Behind the scenes, we know that Intel is going big with drones. They are certainly not looking to take over the consumer market, and may not even be shooting for the commercial market. Instead, Intel is offering their services for entertainment and inspection tasks around the globe. On a larger scale, we are constantly impressed by the innovation and AI efforts and benefits of Intel’s drone projects. Looking at the light shows specifically, I can think of no better example of large scale drone swarms done right. We can’t wait to learn more. Sally French is The Drone Girl. For all intents, Sally started out the same way we did, she picked up a drone and took to the sky. It’s not hard to get hooked on the thrill. 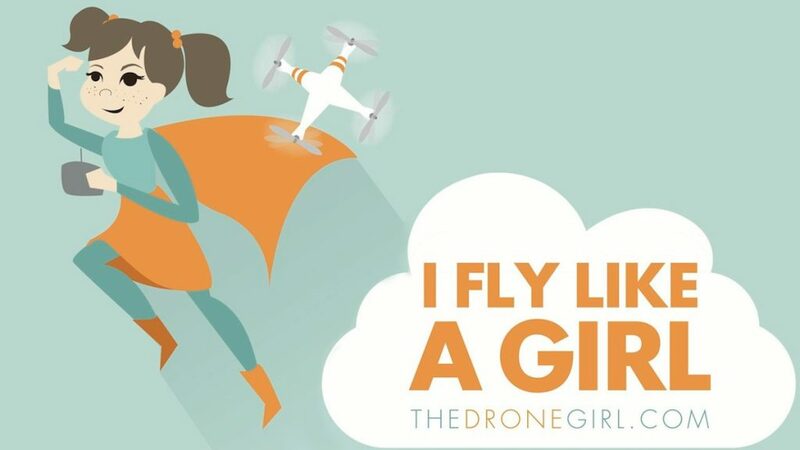 The Drone Girl is a thriving website and YouTube channel, we certainly encourage you to check out her work. We are planning to have the chance to chat with Sally along with her event. She is heavily involved in the industry, which is great, but we may bring to you a focused conversation on the challenges women pilots face. I’ve never witnessed any blatant gender disadvantages in the drone world, but if you have, I certainly want to hear from you. Please hit the comments below if you have a story or question regarding gender challenges in the drone world. As I say, I feel these are tools and toys for anyone to enjoy – I’d certainly like to do my part to undo any gender bias and prevent prejudice against any pilot, for any reason. Let’s all just get out there and have some fun. We’re looking forward to the Girls Who Drone 2018 event. The Intel Shooting Star drones are great fun to watch, we also think the tech and people behind the light shows are worth some more coverage. Let’s all enjoy drones together.